We traveled to the Pyrenees for one of the most unique mountain biking races in the world. We then moved on to Belgium and Switzerland, where some of the world's best off-road triathletes go head to head in a fight for podium positions. Finally we traveled to the biggest island in Greece for some stand up paddle boarding action. 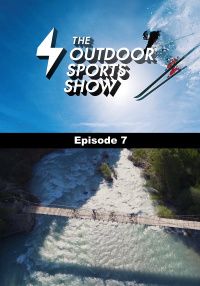 In this episode we traveled to the Pyrenees for one of the most unique mountain biking races in the world, the Transpyr Coast to Coast. We then moved on to Belgium and Switzerland for the XTERRA European tour, where some of the world's best off-road triathletes go head to head in a fight for podium positions. Finally we traveled to the biggest island in Greece, Crete for some stand up paddle boarding action and the Agios on SUP 2018.